Results: When it comes to air pollution, further development and integration of complementary analytical methods are needed to understand the effect of atmospheric particles, according to scientists at Pacific Northwest National Laboratory and University of California, Irvine. Dr. Julia Laskin and Dr. Alexander Laskin at PNNL and Prof. Sergey Nizkorodov at UCI share this and other insights into the state of organic aerosol chemistry in Physical Chemistry Chemical Physics, March 2011. Artwork from the article graces the cover. Why It Matters: Air pollution by emissions related to energy production and the transportation fleet presents economic and environmental consequences. Understanding and mitigating these consequences requires answering challenging questions about the chemically complex particles emitted by these sources. By reporting on the state of the science and discussing future needs, the Laskins and Nizkorodov are providing other scientists with a solid, foundational reference. The State of the Science: High-resolution mass spectrometry provides researchers with the ability to characterize organic matter in aerosols and water samples. 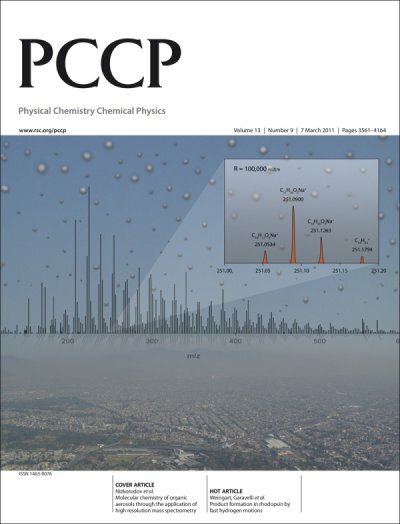 In the review article, the scientists discuss all studies published to date using high-resolution mass spectrometry to characterize aerosols and cloud water samples. 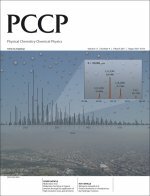 The authors also discuss new ionization techniques necessary to advance analysis of aerosol samples using high-resolution mass spectrometers, overcoming previous sample preparation limitations. One example is nanoDESI or Nanospray Desorption Electrospray Ionization. This approach provides a highly sensitive analysis of complex analytes, enabling a molecular-level understanding of the particles. The authors also cover data analysis and visualization tools to aid in sorting through the hundreds of features on each mass spectrum. Using various tools and careful analysis, scientists are attaining solid information about the molecular composition and fundamental chemistry of particles. For example, researchers in 2010 found that N-heteroatom organic compounds produced through atmospheric aging of aerosols can contribute to the absorption of the visible light by pollutants. What's Next: The researchers are continuing to develop new tools and techniques, and use mass spectrometry to delve into problems involving organic aerosols of import to the atmospheric environment and climate change. Acknowledgments: The National Science Foundation, the U.S. Department of Energy's Office of Basic Energy Sciences, and the EMSL Intramural Research and Capability Development Program funded the work. Sergey Nizkorodov at the University of California at Irvine, and Julia and Alexander Laskin of Pacific Northwest National Laboratory wrote the article. Reference: Nizkorodov SA, J Laskin, and A Laskin. 2011. "Molecular Chemistry of Organic Aerosols Through the Application of High Resolution Mass Spectrometry." Physical Chemistry Chemical Physics 13(9):3612-3629. DOI: 10.1039/c0cp02032j.